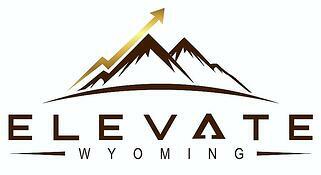 At Elevate Wyoming, we seek to help people do their jobs better and enjoy their lives more. Dedicated to Wyoming companies, we love working with organizations that value relationships, service, and qualities like integrity, honesty, and kindness. One of the companies we’re proud to work with is Rocky Mountain Industrial Supply, based in Casper. We had the opportunity to spend some time with the people of RMI and learned more about the standards they are setting in our Rocky Mountain industries. Join us over the next several weeks as we hear from each of them about how and why RMI sets itself apart. Now that's something you don't hear everyday when it comes to talking about business culture. Most often times business culture revolves around words like mission, vision, customer-focused, innovation, values; not Christ-Centered. In a world where tension is found from day to day conversations and religion and politics are considered to be better off not discussed, this is definitely not the norm. In the world of RMI, it is. Praying before the Thanksgiving potluck is the norm. Praying for God's wisdom and guidance in business decisions is the norm. Open and honest conversation is not only the norm but highly recommended. We live and work in a strong and stereotypical industry and what is the norm for RMI is standing out in the crowd; by living a life of faith where Christ is the center. 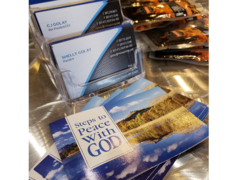 "Our faith is a huge part of who we are and how we make daily decisions outside of work and here at RMI," owner, Shelly Golay stated. In a world of strife and hard conversations, RMI is a shining light of hope. Shelly ads, that she "feels God's hands in so many areas at work at RMI. When we come from a foundation of Christ, the positive way we do business is just a part of who we are." RMI shows this through the daily interactions with customers and the conversations at work, which are driven by an underlying knowledge of "who we are, and whose we are." 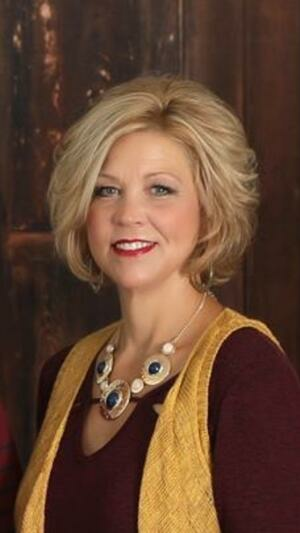 As the owner of the company, Shelly may be held to a higher standard than most in this area. Given her struggles and recent loss of her husband, Jim Golay, her faith has been her guiding light. "I'm not perfect and I'm not fake. I work each day to be an example in Christ."